Tint2 is the “standard” panel in openbox. 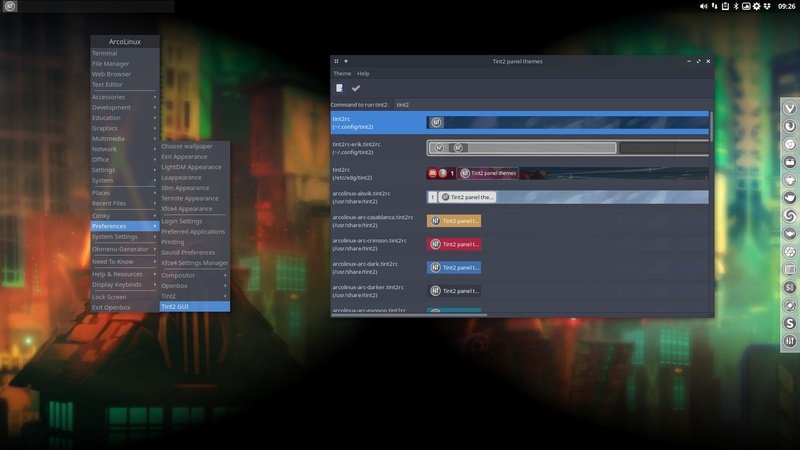 The gui or graphical user interface of Tint2 is a super tool to select the current themes but also a great tool to create new themes. If you want to keep your created theme, you need to rename your own theme but you shoud add the extension : .tint2rc. That is what I had forgotten during the video.